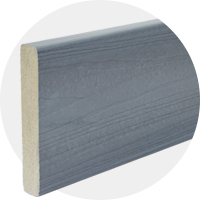 Fiberon cladding is the smart choice for beautiful, low-maintenance rain screen exteriors. 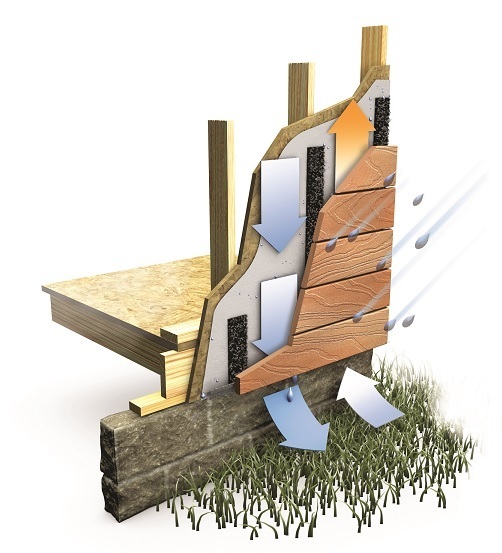 Rain screen systems are an effective, eco-friendly way to manage moisture in the building envelope. A key element is durable cladding that deflects water and adds aesthetic appeal. Fiberon cladding is the answer. Available in eight striking, multi-tonal colors that emulate natural hardwoods, Fiberon composite cladding delivers a range of benefits not found with wood, fiber-cement, or other common materials. A solid wood-composite core prevents splintering, cracking, insect infestation, and decay. The four-sided, patented PermaTech® cap layer delivers exceptional stain and fade resistance. Fiberon cladding is easy to install and never needs painting, staining, or refinishing, so long-term costs of ownership are significantly lower, too. Fiberon cladding contains 94% recycled content, comprising recycled plastics and lumber mill scraps. 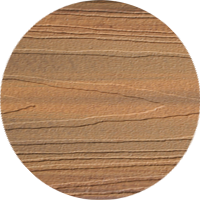 There are no toxic chemicals or finishing products used, and no carcinogens released during cutting. Both Symmetry and Horizon feature an exclusive PermaTech cap layer that resists staining and fading. That eliminates the need for re-painting or re-staining, which means big savings over the long term. 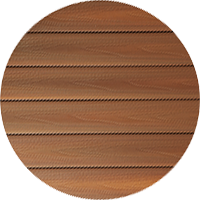 Fiberon cladding is available in eight striking wood tones. 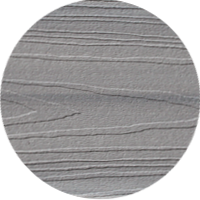 Symmetry features a matte finish and subtle, multi-tonal streaking. Horizon features a traditional finish and more dramatic, multi-tonal streaking. Many common cladding materials - brick, stucco, and wood, for example - will absorb water quite readily, rather than deflect it. Fiberon cladding deflects water. What's more, it resists fading due to sun exposure (wood does not) and is not affected by freeze / thaw cycles (fiber-cement, wood, and sometimes brick and stucco are affected). See more detailed information about rain screen systems, and how they work.